Donald Glover does it all. He’s starred in movies and television shows such as The Martian, Community, ATL, and Spider-Man: Homecoming, and has written for TV shows 30 Rock and ATL. He’s also a stand up comedian whose stand up special, Weirdo, premiered back in 2011. However, Glover might best be known for his rapper persona Childish Gambino, and for his first two albums Camp and Because The Internet. His song “I. The Worst Guys” is off his second studio album Because The Internet, and features a guest appearance by Chance The Rapper. Chance rocking a red pair of low-top chucks. The song features Gambino spitting two verses, while Chance sings the hook. The lyrics allude to Gambino and Chance being “the worst guys” in rap. They’ve been reviled by some hip-hop purists who don’t like their style and how it has affected the genre. Gambino has also received a bad rep for being an “actor trying to be a rapper”, and not doing music full time. However, at the same time, both Gambino and Chance are loved by many in the hip-hop community for changing the perception of what rap can sound like. Their flows are both so unique, and their rhyme schemes are unmatched in rap right now. They sound completely different and are totally unique in the genre. 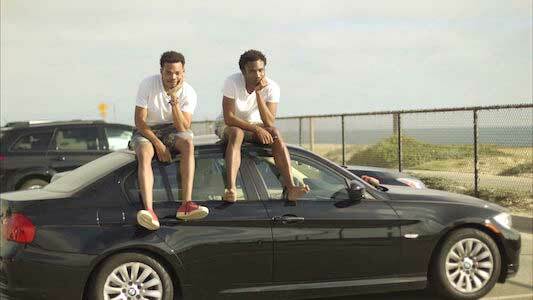 Gambino and Chance are not impressed. 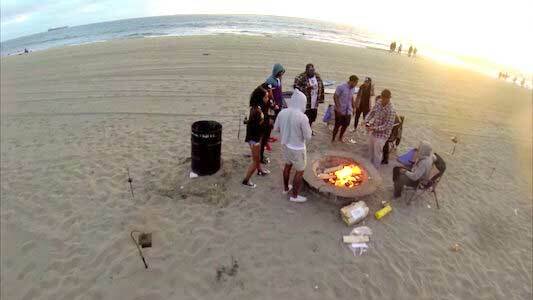 The music video to this song features Chance and Childish hanging out at the beach all day with some friends. They surf, swim, and barbecue in the sand over a bonfire, showing that while you may hate them and their style, they’re both too busy enjoying life to care. Chance is sporting a pair of red, low top chucks in this video, and a few of the girls they’re hanging out with are wearing chucks as well. Gambino and Chance are truly changing rap, and it’s for the better as they have managed to stay true to themselves and sound unique in a genre that has become increasingly complacent over the past few years. If this attitude makes them the worst guys, well then maybe hip-hop needs more bad people in it. 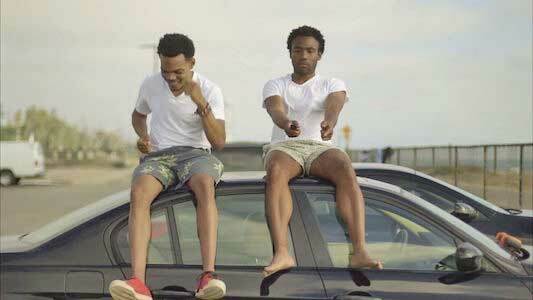 Childish, Chance, and chucks around a campfire.